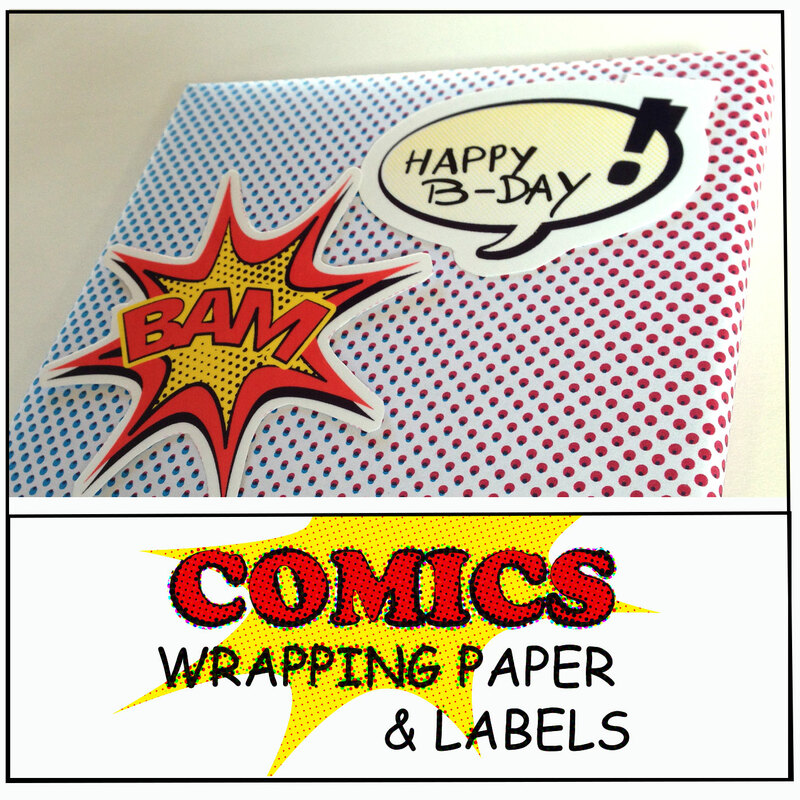 With this direct downloadable pdf you can create your own special comic/cartoon themed wrapping paper. 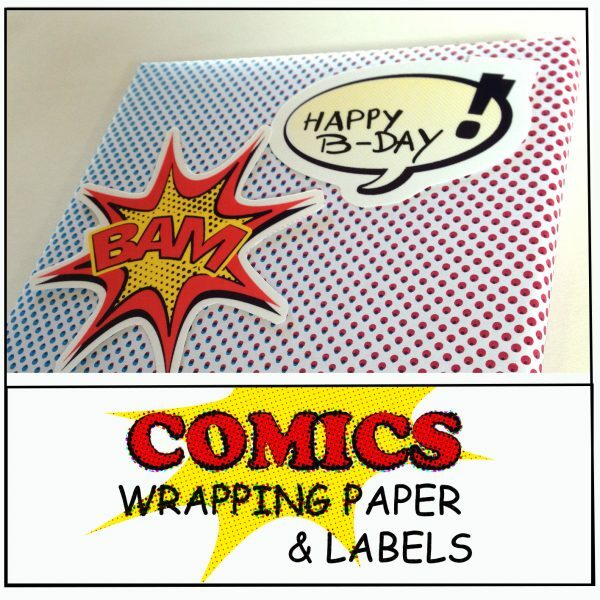 Or use it for cards, home decor, scrapbooking, and much more! 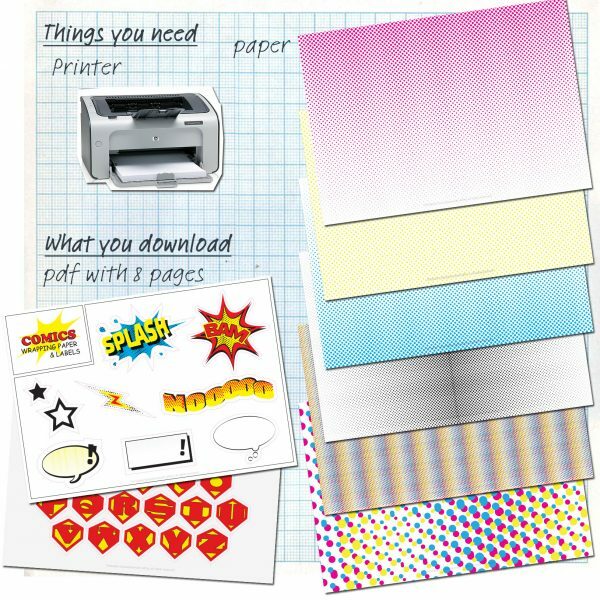 The document is a pdf papersize A4 (Note: pdf documents can be scaled to any size) . Create your own colours and patterns!! Print page 2 and re-feed the same paper to print page 3 to have an orange pattern. Print page 3 and 4 for green etc. TIP: print it borderless if you can. Print the labels glossy or firm paper. 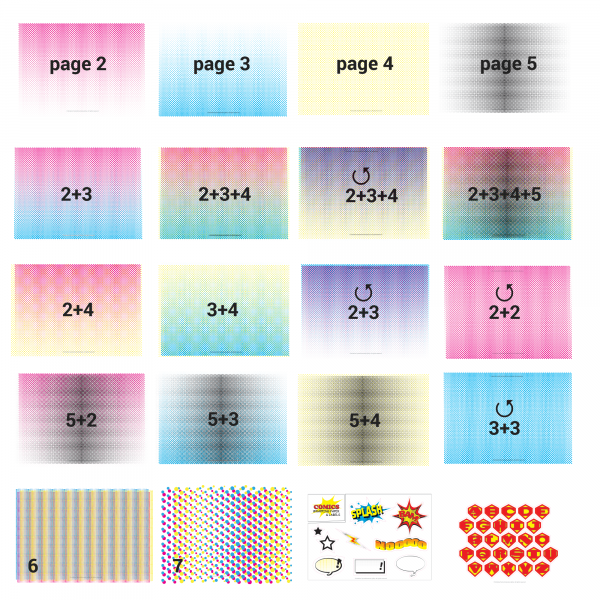 Print the patterns on plain paper so its easy to fold. If you have any questions don’t hesitate to contact me! 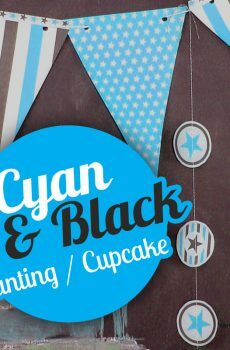 DIY paper bunting and cupcake patterns in flashy cyan and black. 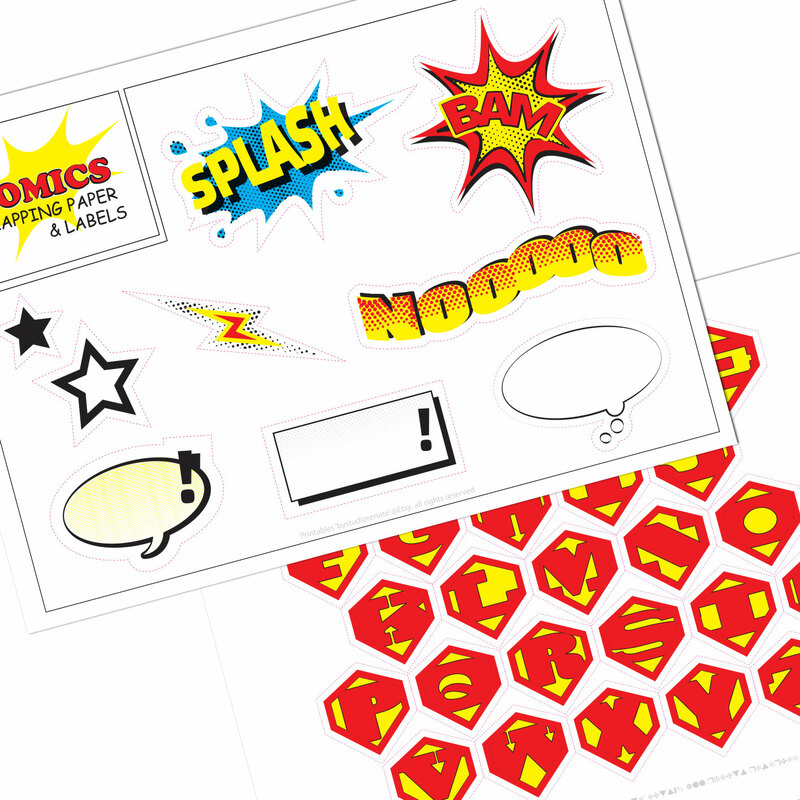 Seven different patterns to be printed single or double sided. 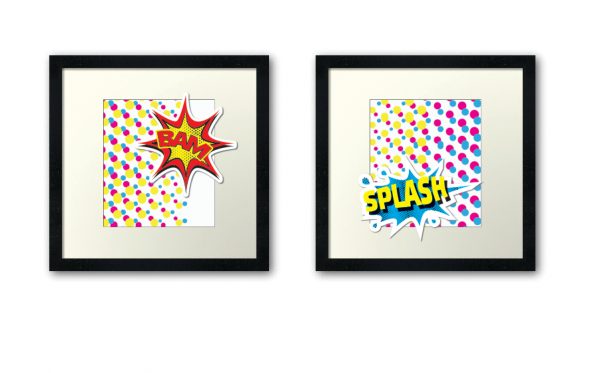 You can even give it a grungy effect! 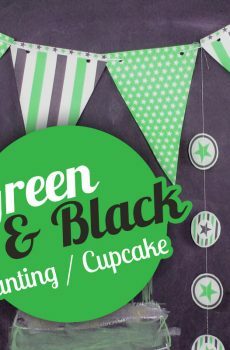 DIY paper bunting and cupcake patterns in flashy green and black. Seven different patterns to be printed single or double sided. You can even give it a grungy effect! 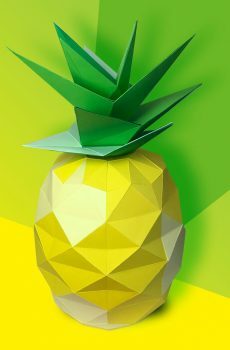 Colourful lowpoly pineapple, perfect for summer decorations easy to paint. 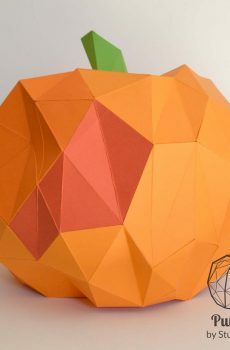 Orange low ply pumpkin, perfect for halloween easy to paint.